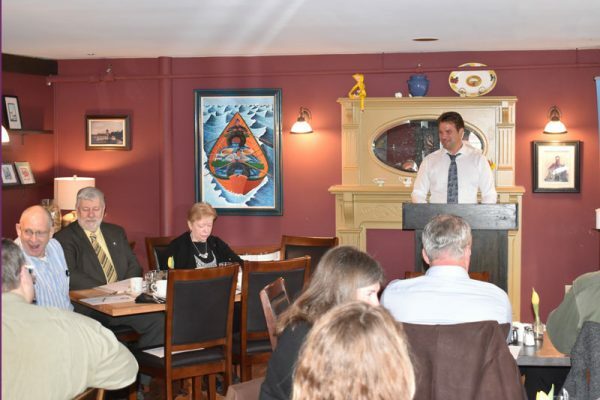 The Annual General Meeting (AGM) was a breakfast meeting held at Lane's Privateer Inn, Liverpool. Following a hot buffet breakfast, President Jonathan Lloy presided over the AGM portion of the meeting. AGM business included the presentation of the President's Report by Jonathan, and the election of a Chamber directors for 2018. The guest speaker was Major David Dagley who talked about the Region of Queens past accomplishments, and priorities and plans for the upcoming year. Read the Presidents Report (PDF). We thank everyone for attending. Looking forward to another productive year!